Gabe Balsamo joined NMVFC as a junior firefighter in 2006. His initial responses were on his bicycle from his residence on Summer Hill. Over the years, the bicycle was replaced with a Jeep, and he now has a home of his own on Dorset Lane, where he lives with his fiancée, Kelsey. Rumor has it that his response time is still the same! For the past 6 years, Gabe has served NMVFC as a Lieutenant and has been a major contributor to the department. After graduating from Hand in 2009, Gabe went on to attend the University of New Haven. He expanded his education in the fire service by studying Fire Science and Arson Investigation along with a minor in Criminal Justice. Gabe has continued to further his education by taking fire service courses and is currently certified at the Fire Service Instructor 1 level. In addition to being an active Line Officer, Gabe oversees the company’s fire gear and personal protective equipment, always making sure every firefighter has the proper PPE needed for the job. He also manages the pager program and social media for the department. Gabe brings energy and enthusiasm to everything he does. You know that Gabe is around by his loud voice and laughter that can be heard from any part of the firehouse. Gabe is an outstanding leader and has a strong passion for the fire service. It shows both on and off the fire grounds. He has taken new firefighters under his wing by showing them the ropes and is always available to answer a question no matter what time, day or night. 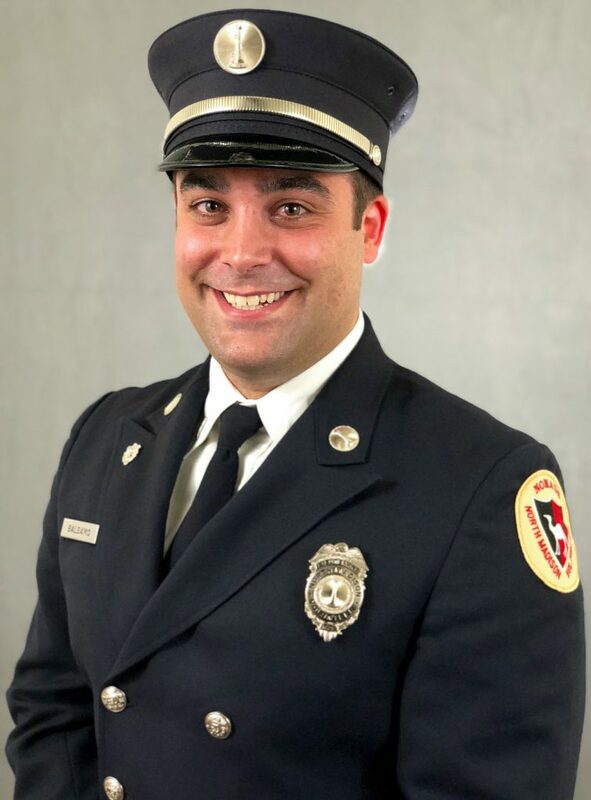 He is regarded by the junior firefighters as a mentor in fire department related activities and has provided guidance in preparing them for college and life in general. Gabe defines the word dedicated. This past year, Gabe has responded to over 50% total calls for service that included manning the fire station during the March Nor’easters! For his outstanding dedication and service to NMVFC and the North Madison community, we name Gabe Balsamo as our Spirit of the Company recipient.